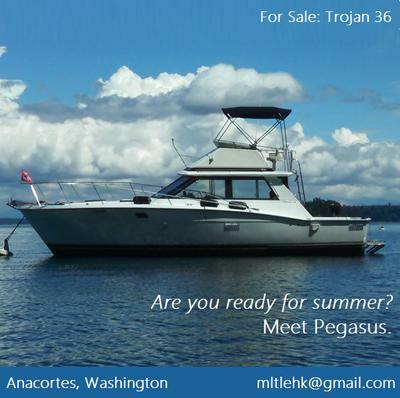 5/29/2015 Anacortes, Washington - 1979 Trojan 36 Power Boat. Builder: Trojan Yachts (Lancaster, PA). LOH: 36'. Beam: 13'. Draft: 2'11". Twin 454s (330 HP each). 2 Downriggers. Full Head w/ Large Shower. Large V-Bert. Double Bunk State Room. Lowrance GPS. Lowrance Fishfinder. Bluetooth Stereo System. Electric Range, Microwave, and Refrigerator. Built-in AC Electric Heater. Flatscreen TV. Ready to fish. Well maintained. Email for more information! mltlehk@gmail.com.